Have you been thinking about purchasing a new carport, garage or garden shed? It’s one thing to browse sheds online, but in order to get a clear idea of just what could become a reality on your property, you really need to visit display and see for yourself! The only way to really get a clear idea of the scale and size of your new shed is to stand inside it yourself. Our displays allow you to do exactly that by having a range of garages, sheds and carports available to look at and walk inside. Dream Up Your Perfect Shed! Our sheds and garages can be made completely bespoke to your requirements. When you visit our display, you are able to get a clearer idea of the types of ways you can customise your shed to suit your needs. We find that most of our customers wish to colour match their new shed to the colour scheme of their home, rural or commercial property. The only way to ensure you get the exact colour you are looking for is to come in and have a look in person. If you are certain you want to purchase a new shed, garage or carport but are unsure of exactly what you want, by visiting our display you can gain inspiration and ideas to ensure you get the shed of your dreams! 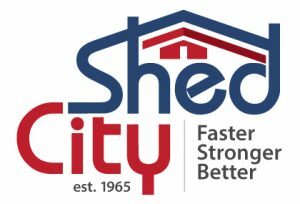 Shed City display is located in Kilmore Victoria so come in and check out some of our amazing sheds for yourself. Talk to us about an out of hours visit or visit by appointment if our standard hours don’t suit you. Our friendly and helpful team are always on hand to give you the right advice so get in touch with us today!